Positioners are for people who have just had braces placed on their teeth. Specialists place positioners on their patients’ teeth so that the movement will be finalized. Retainers are appliances that people usually wear after they receive orthodontic treatment. Retainers are ceramic or metal pieces that hold the teeth in their positions to stabilize them. 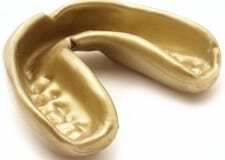 Some orthodontists prescribe retainers as sole treatments. Braces are the most common appliance. An orthodontist may have the lab craft them in metal or a ceramic material. They consist of wires and brackets that go across the teeth and pull the teeth together to straighten them. Invisalign is an alternative to braces. 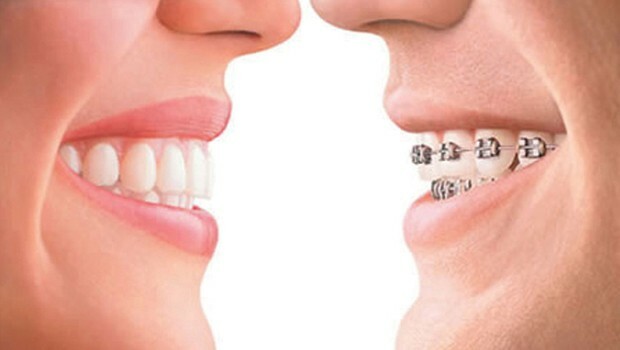 The Invisalign system is a set of devices called aligners that work together to give the same effect that braces give. The aligners are plastic, and patients can remove them from their mouths for teeth cleaning or eating purposes. Many children and adults have a severe problem with bruxism or teeth grinding. Teeth grinding can wear away the teeth so that not much is left in the person’s mouth. Night guards are appliances that a specialist designs to keep patients from grinding their teeth. Mouth guards are contraptions that work best for people who play sports. They are plastic contraptions that fit over the wearer’s teeth so that he or she does not hurt their teeth while playing sports. A nance is an interesting device that orthodontists use to keep a person’s upper teeth from moving forward. Head gear is a word for a large contraption that helps people with overbite issues. The device helps to prevent the upper jaw from growing, and the growth prevention stops the teeth from over jetting the lower teeth. Headgear is large, and it consists of a strap and a face bow. A tongue crib is a primitive device that specialists make to prevent their patients’ tongues from moving forward. Infantile thumb sucking can cause much damages. The condition can cause a child to have undesirable blemishes in the mouth. The thumb-sucking appliance prevents the person from placing and keeping a thumb inside the mouth. A prospective patient should contact Papandreas Orthodontics for an examination. The examination will reveal whether or not the person should seek to have someone develop a corrective mouth device. Papandreas Orthodontics can assist with all aspects of the corrective process. Dr. Papandreas examines the teeth and helps come up with the best solution for the correction. Interested people can complete a short form in order to schedule a complementary consultation.